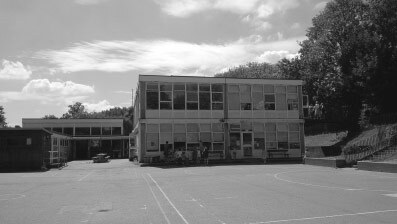 Muswell Hill School Was built in the 1960's and is situated on the original site of Muswell Hill railway station. 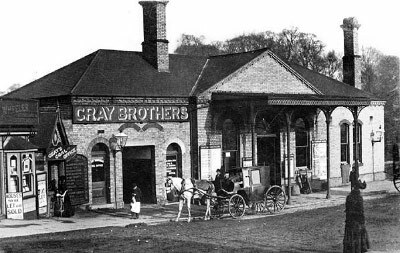 The Muswell Hill Railway opened the station on 24 May 1873 as the intermediate station on its line from the Great Northern Railway station at Highgate to Alexandra Palace station as to coincide with the opening of Alexandra Palace. 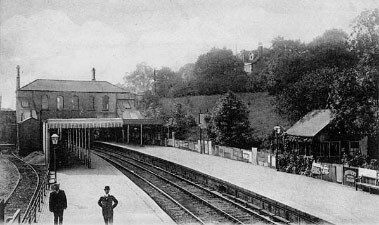 In 1911 the line was taken over by the GNR. The 1921 Railways Act created the Big Four railway companies, and in 1923 the line became part of the London & North Eastern Railway (LNER). In 1935 London Underground planned, as part of its "New Works Programme" programme to take over the line from LNER together with the LNER's routes from Finsbury Park to Edgware and High Barnet, modernise it for use with electric trains and amalgamate it with the Northern Line. Works to modernise the track began in the late 1930s and were well advanced when they were interrupted by theSecond World War. 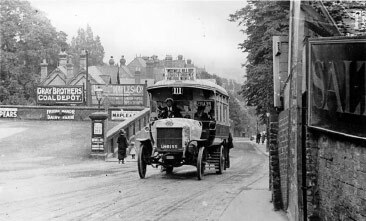 Works were completed from Highgate to High Barnet and Mill Hill East and that section was incorporated intothe Northern Line between 1939 and 1941. 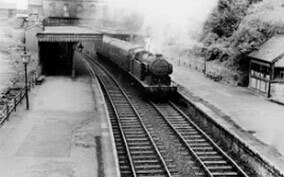 Further works on the section between Highgate and Alexandra Palace were postponed and the line continued under the operation of the LNER. 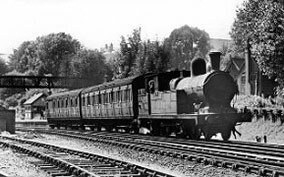 Because of wartime economies services were reduced to rush hours only, so that after the war the dwindling passenger numbers and a shortage of funds lead to the cancellation of the unfinished works in 1950 and passenger services to Muswell Hill station were ended by British Railways on 3 July 1954 along with the rest of the line between Finsbury Park and Alexandra Palace. 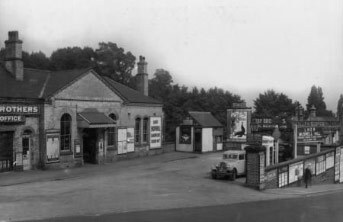 The line was used for goods until complete closure on 18 May 1957. 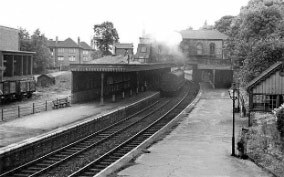 The track was subsequently removed and the platforms and station buildings were demolished. The track bed between Muswell Hill and Finsbury Park is now known as the Parkland walk.